A popular topic for a newspaper feuilleton in the 1910s and 1920s was something called “passport nuisance.” For the first time in their lives, members of the better classes faced the bizarre requirement to prove their identity at the border. Their indignant reactions made for excellent newsprint fodder, as did the new system’s vagaries. One man, for instance, was said to have traveled to Germany, where he shaved his mustache after the latest fashion, and was unable to return because he no longer matched his passport photograph. In 1915, the New York Sun published a story entitled “W. K. Vanderbilt Tries to Identify Himself,” which listed the ordeal: Vanderbilt had to “describe the color of his hair and the shape of his nose, chin and forehead.” In 1919, Woodrow Wilson himself had to have a passport made in order to travel to Versailles. This, too, was front-page news. Craig Robertson’s new book traces the relatively fast and remarkably recent evolution of the American passport from an exotic exception to a common and standardized shorthand for identity itself. Robertson locates this transformation between the 1880s and 1930s; were The Passport in America to follow its subject into the twenty-first century, it would have to admit that today’s passport—in all its biometric, smart-carded glory—actually means less, culturally speaking, than it did when it was just a piece of paper with some words and an eagle. While “safe conduct” papers existed as far back as the eleventh century, they lacked the identifying function: “the premodern ‘passport’,” writes Robertson, “seemed to carry with it the assumption that the person presenting it was the person named in the document.” (You may remember this fallacy as a major plot point in Barry Lyndon). The fact that it seems naïve now underscores Robertson’s main point: how quickly the society allowed the passport to become an instrument of control. It took a chain of events, some more cataclysmic than others but almost all unpleasant, to make the United States adopt the passport in its modern form. The Chinese Exclusion Act, in 1882, which let in merchants while turning away laborers, eventually necessitated a better technique for telling the former from the latter than evaluating hand calluses. In 1911, when Russia stopped accepting American passports presented by Jews, the American Jewish Committee stirred a national outrage that first successfully paired the passport with the idea of American pride. William Randolph Hearst himself put it best, showboating before a crowd at Carnegie Hall: “The point at issue … is simply whether the seal and signature of the United States upon a certificate of citizenship render it valid and acceptable at its face value … whether the United States is politically solvent, whether its guarantee is good.” Then came World War I, and the suspicion of spies and Communists; and soon after that, the quotas of the 1921 and 1924 Immigration Acts. The more insular and paranoid America became, the better it became at cataloguing its citizens and its visitors. And then, well, the book ends. Robertson is interested in the passport’s development only inasmuch as it reflects a shifting consensus on race, gender, and othersocial questions, and is content to abandon his subject in the 1930s, once it took on the general “modern” shape. 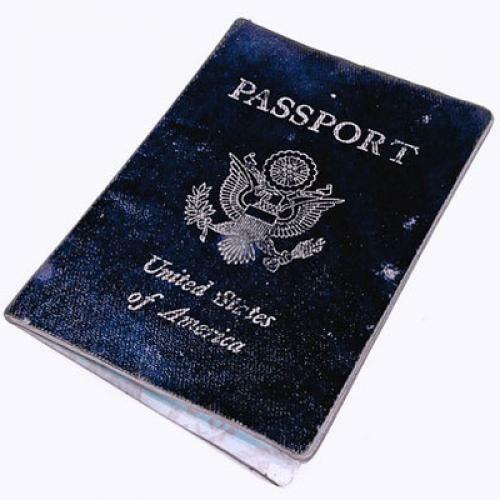 The Passport in America is built from rather damp kindling. Parts of it had previous lives as articles in academic journals, and the author has little incentive to fluff up the material for mass consumption. A reader mostly interested in the historical side of things, as I was, will occasionally get jarred out of the text by detonations of weapons-grade academese: “The now-apparent naturalness of the passport occurred through a collapsing of identity into identification.” In this jargon, things are always collapsing into each other when they are not busy growing misshapen derivational suffixes. These self-imposed limitations automatically preclude Robertson’s book from being the definitive tome on the subject, a statement that probably won’t upset him but somewhat upsets me (will I ever sit down to read another book about passports?). For one thing, it would have been great to have read what Robertson would make of the document’s Bush-era redesign, which made the passport look like a storyboarded Colbert Report intro. For another, his narrow focus on the United States means that the book does not get to the most interesting part: the unique role of the passport in the American life in comparison with other countries. Europeans love to repeat a made-up non-statistic that only 10 percent of U.S. citizens have passports, which is supposed to illustrate an (unfair, given our geographic location) point that Americans are incurious homebodies. The truth is less drastic, but still remarkable: as of 2008, 27 percent of Americans held passports. I would be surprised if most of the same people didn’t come from the population’s wealthiest or best-educated quarter. In other words, the “passport nuisance” phenomenon has come full circle. Once the province of the poor and the suspect, the passport is now something of a status symbol. More important than that, however, is the ability to live a full life without one. I grew up in the Soviet Union, where the “safe passage” and the identifying function of the passport were quite literally split. Soviet citizens had two passports: an internal one, handed out by the Ministry of Internal Affairs, which you were required to have on you at all times, and a zagranpasport (confusingly translated as “foreign passport”), handed out by the Ministry of Foreign Affairs for the rare trip abroad. Nearly identical but in no way interchangeable, the two comprised the yin and yang of personal documentation. When I first came to the United States in 1992, the fact that the passport was a mere travel document, and that the role of the primary ID was handled by a state-issued driver’s license, fairly blew my mind. It also illustrated a point that Europe invariably misses about the United States: this country is, on a certain level, a loose federation of quasi-independent entities. It becomes a true nation-state—and you become a representative thereof—only when you leave it. Here is why Robertson’s book is essentially incomplete: as the world, various troubles notwithstanding, continues to globalize, it is heading toward an era when identity and identification are once again going to diverge. I am now an American citizen, but I spent six years stateless, once traveling to Paris with a brown two-pager called “Refugee Travel Document,” and, judging from the looks it got at the border, not really designed for weekend trips to Paris. My wife holds both American and Russian passports—a practice on which the Kremlin vaguely frowns, without banning it outright—and with some legwork she could add an E.U. passport to the collection (her family has roots in Poland). Flying to Moscow, she leaves New York as an American, changes citizenship mid-flight, and lands as a Russian. Yet this is by no means a sign of a dual identity or divided loyalties. It means only that she is an American. Home is where the taxes are. Or, as the Russian-born, American-educated, Italy-dwelling columnist Andrei Navrozov recently wrote: “Dual citizenship is flirtation. It is not adultery.” The passport is gradually ceding its function as the ultimate representation of identity. It would take a new world war to reverse that.